A series of free musical adventures for local families with children aged 0-2 and 2-4 along with their carers. Join us for a term of real music, with real instruments, and the chance to sing, dance and play musical games. 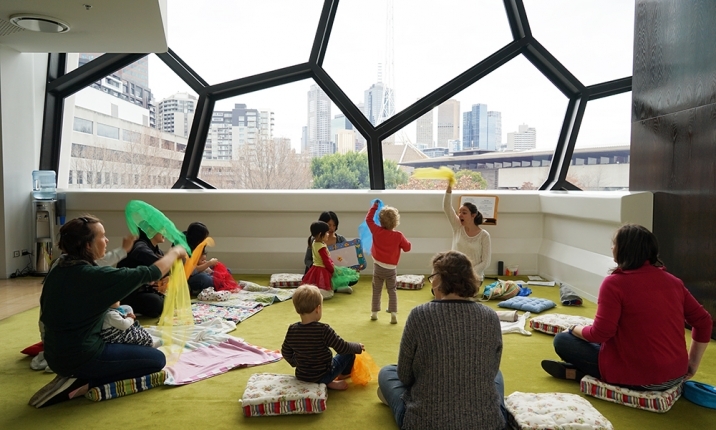 Developed by Clare Zabrowarny, a specialist early childhood educator and violinist, Song Play sessions gently encourage children to find their own special voice. About Clare: Clare Zabrowarny is an early childhood educator and violinist. She has extensive experience teaching violin and classroom music and has developed a unique approach to creating engaging musical experiences for young children. Clare is passionate about inspiring young children to appreciate music and to express themselves through art. Clare holds a Bachelor of Music, a Graduate Diploma of Education and is qualified to teach music using the Kodály and Orff methods.